Get your winter wear for your winter holiday now at Winter Time Extravagant Sale Expo Clearance Event! 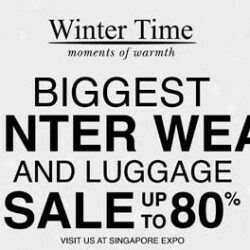 Happening at Singapore Expo from 6 to 10 November 2015, get up to 80% off winter wear, luggage bags, travel accessories and more. 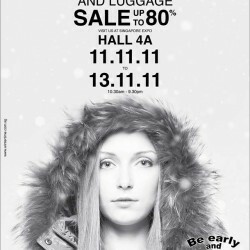 Check out the Winter Time Expo Event at Singapore Expo, Hall 5B from 10am to 10pm and enjoy discount up to 80%.